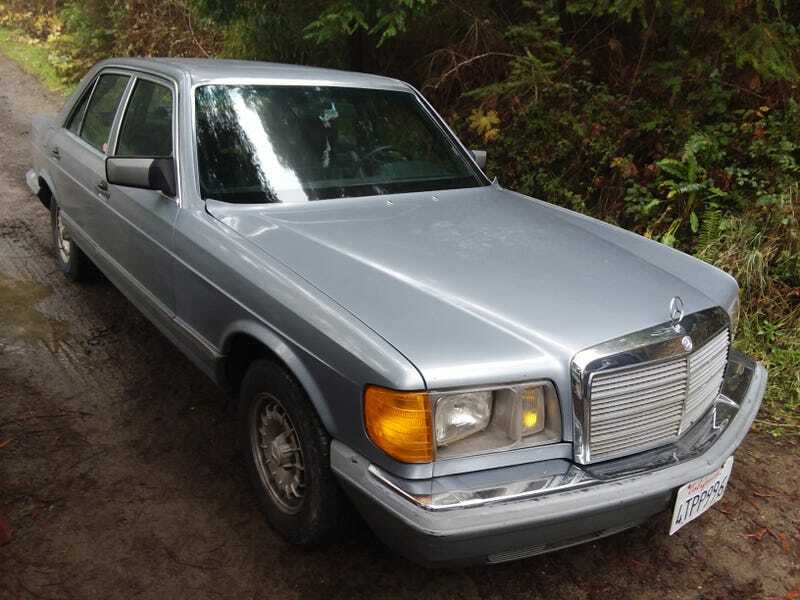 1983 Mercedes Benz Turbo Diesel. Paired with an automatic It’s the slowest vehicle ive ever driven. I sold the 95 Camaro a couple days ago so I replaced it with this $500 Benz. The interiors roached(1.5/10) and the exteriors not far behind(3/10). But it’ just a daily To Get To Work while the sc400's down(again). Mechanically it works fairly well, I drove it 60 miles home and it did it fine. Some of the issues: Shifts hard in first, tach dosent work, half the windows roll down, cracked windshield, bent hood near the base of said windshield, the gas pedal falls off the hinge that it actuates, 2 of the blinkers are broken(the light works but the plastic lenses broken), part of driver seat is just laying in the car and moves around willy nilly. These are the main issues I’ve found in the past hour. Overall I’m pleased though, it runs and drives.